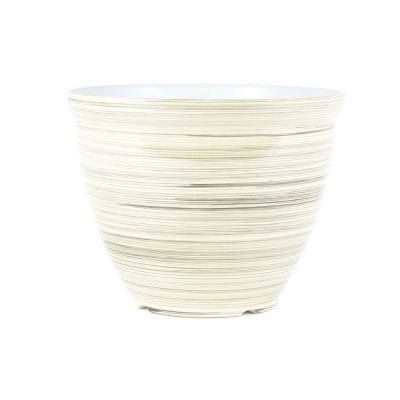 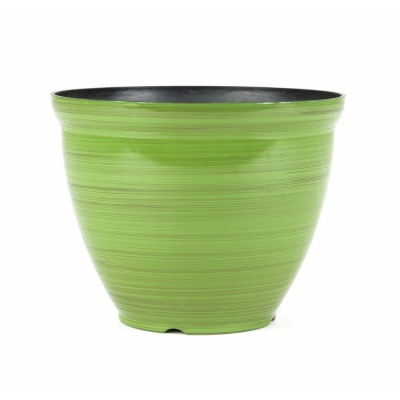 Ceramic Effect Bell Vase 15" Lightweight Planters from the Woodlodge Feather recycled range offer a stunning array of striped or plain coloured designs. 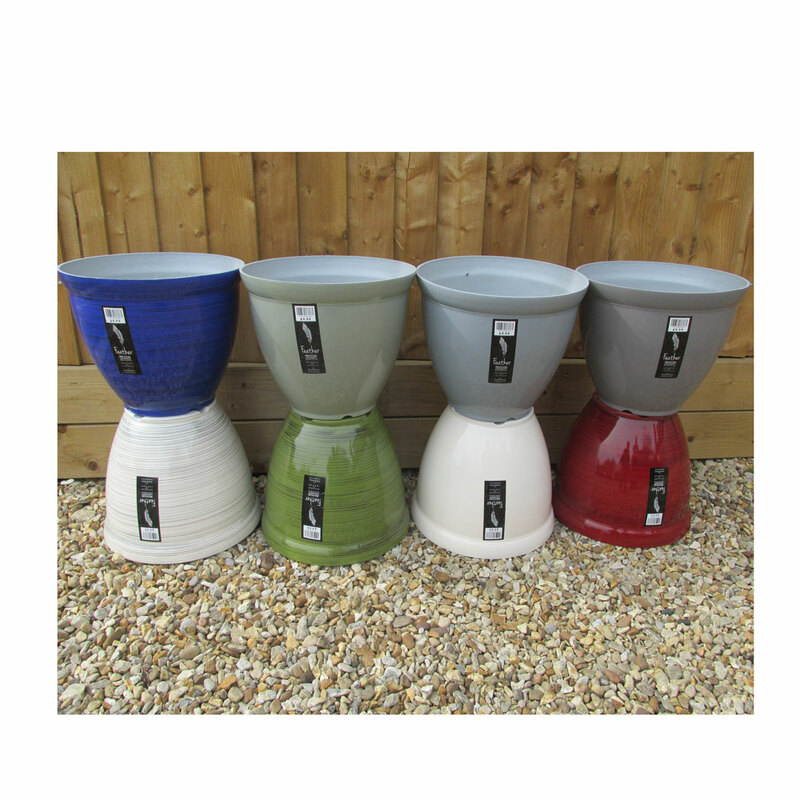 Suitable for Outdoor or Indoor garden planting and constructed from recycled but lightweight and durable material. 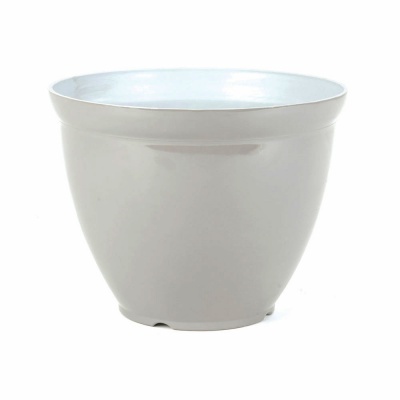 Frost-proof outdoor large pot solution that avoids the risk that real ceramic brings when freezing. 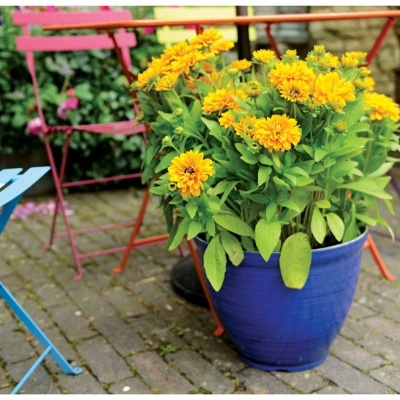 Further benefits include the reduced weight and easy movement aiding seasonal repositioning of large specimen plants. 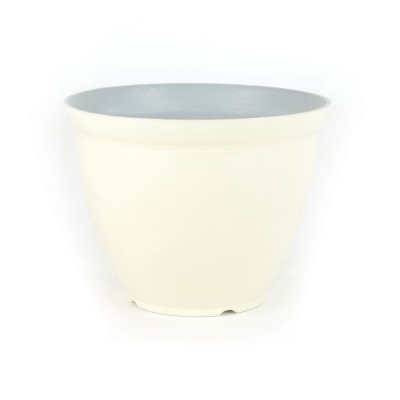 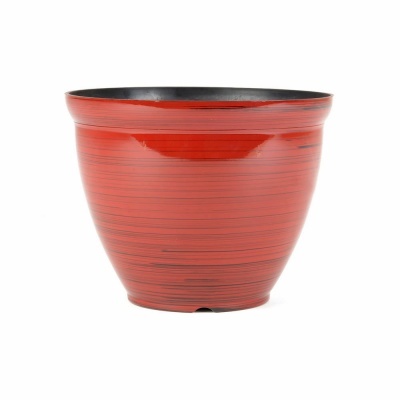 Completely authentic glazed ceramic effect pot planter, incredibly featherweight, so the benefits are ideal for reduced loading of balcony gardening, whilst giving the look and impact that attractive glazed pots bring. 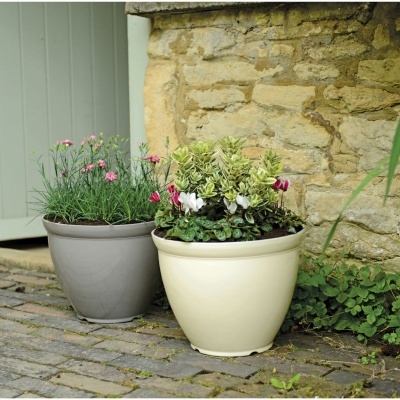 Gardeners are also keen to do their bit for the environment, and using these planters will do just that, as they are constructed using durable recycled materials but without the weakness that recycled plastic resin can bring. 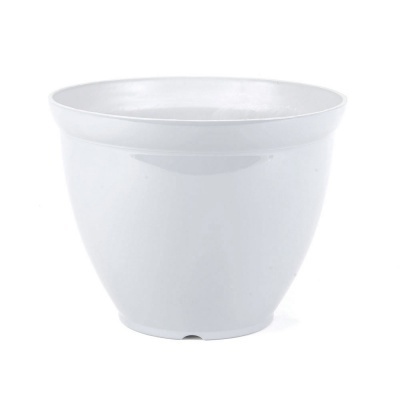 Internal drainage holes are pre-marked for easy drilling. Fabulous pots really pleased with them. 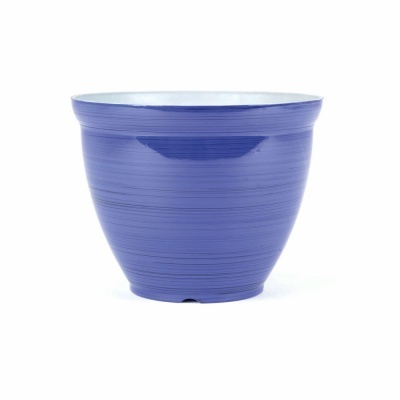 I was very impressed with your company - you were so helpful, kept me up to date and the pots were packaged really well. 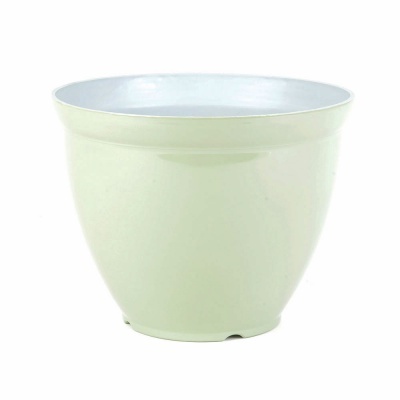 I have recommended you to my friends.